The stock market went into a tailspin in late 2018 as fears of a global economic slowdown took hold. That sell-off pulled most stocks down with it, including infrastructure companies Andeavor Logistics (NYSE: ANDX), Brookfield Infrastructure Partners (NYSE: BIP), Plains All American Pipeline (NYSE: PAA), and Plains GP Holdings (NYSE: PAGP), which all plunged more than 15% over the final three months of the year. However, the market bounced back big time last month as new data, as well as some other factors, started easing investors' fears that a recession was inevitable. That rebound sent most stocks higher, including these infrastructure companies, which all rallied at least 10% in January, according to data provided by S&P Global Market Intelligence. 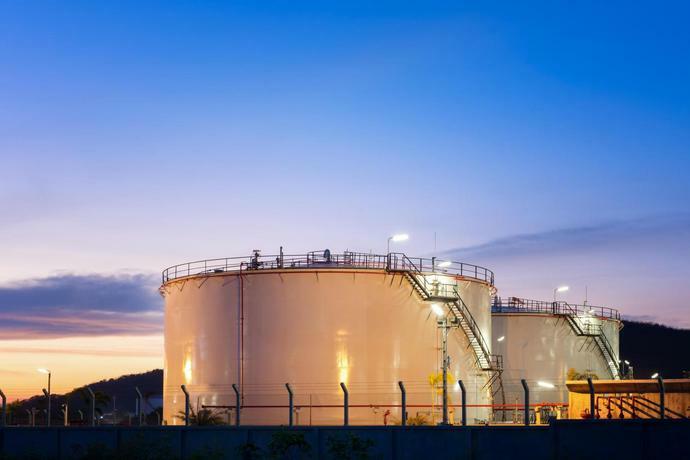 Oil pipeline and storage infrastructure company Andeavor Logistics rebounded 10.5% last month, due mainly to the bounce back in the stock and oil markets. That helped the master limited partnership (MLP) begin clawing its way back from a nearly 30% plunge in 2018, driven by concerns that the company might need to reduce its sky-high distribution to improve its financial metrics. Another worry is that the company's new parent, refining giant Marathon Petroleum, might merge Andeavor Logistics with its MLP MPLX. That deal likely wouldn't fetch much of a premium since Marathon controls both entities, which took the wind out of Andeavor Logistics' sails last year. Brookfield Infrastructure Partners, meanwhile, bounced back 13.4% last month as it recovered from a nearly 23% decline last year. The main issue weighing on the diversified infrastructure operator in 2018 was that its earnings declined after the company sold a large business. But the company subsequently signed deals to invest in several other infrastructure businesses, which enabled it to restart its growth engine in the fourth quarter as well as increase its distribution 7% for 2019. With several more deals slated to close in the coming months, the infrastructure company expects earnings to accelerate in 2019, which could help it to keep rallying. Finally, oil pipeline infrastructure company Plains All American Pipeline and its parent Plains GP Holdings rallied 13.6% last month. That rebound helped both companies more than erase their single-digit sell-off in 2018, due mainly to a slump in the oil market in December, which took most oil-related stocks down with it. With oil bouncing back 18% last month, most oil infrastructure stocks followed crude higher. Meanwhile, Plains All American and its parent have continued rallying in February, powered this time by the company's strong fourth-quarter results and optimistic outlook for 2019 and beyond. Despite bouncing back last month, Brookfield Infrastructure and Plains All American Pipeline look like they have more upside potential. Both companies have catalysts ahead as Brookfield's earnings growth should accelerate in 2019 resulting from recently completed expansion projects, while Plains All American expects to soon be in the position to start returning more cash to investors above its current high-yielding dividend. Those and other factors make those two infrastructure stocks compelling ones to consider buying for 2019 and beyond.